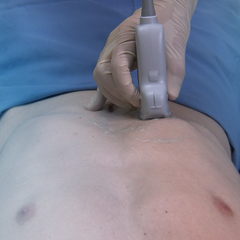 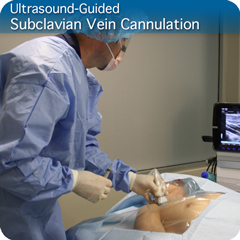 This Ultrasound-Guided Subclavian Vein Cannulation: Procedure Module will provide you with an in-depth understanding of the basic principles of how to perform ultrasound-guided subclavian vein cannulation. 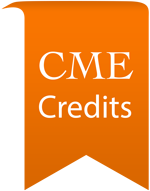 Your course understanding is assessed with in-module questions and an end-module mastery test. 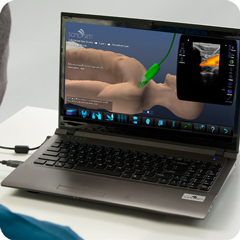 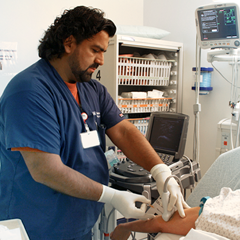 The patented SonoSimulator® will help you develop the requisite hands-on psychomotor skills and cognitive task awareness required to optimally perform ultrasound-guided subclavian vein cannulation. 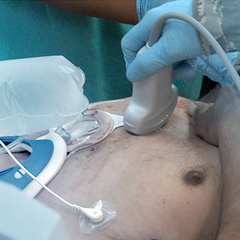 The SonoSimulator® will help you develop and maintain the critical visuomotor and visuospatial skills that are central to performing ultrasound-guided subclavian vein cannulation. 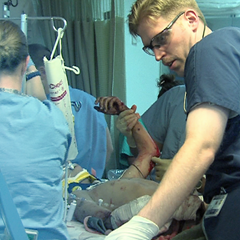 You will learn how to perform subclavian vein cannulation in a convenient and risk-free setting.